First thing's first - I'm guest posting over at It's All in the Details while Samantha is on vacation. I wrote about the five best and worst decisions I made for my wedding so you should go check it out whether you're getting married or not because support, y'all. 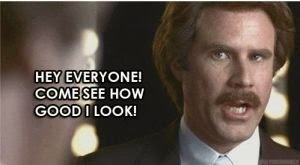 I feel like Ron Burgundy pimping myself out but what can you do? 1) A photo an hour/a day in the life. I did mine here and here, respectively. I want to do another photo an hour on a regular day, too. 3) House tour, or just your office or where you blog (here's my living room). 4) Any recent fun stuff you bought. 5) Throwback Thursday where you tell a story about something that happened pre-blog (with old pics of course - here's one of mine). 6) How you blog - how a post comes together, how you manage to read blogs, what makes you like a blog, stuff like that. 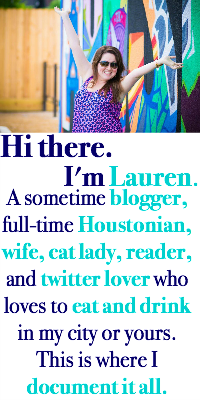 I love blogging about blogging because it's the one thing we all have in common. 7) The things your readers should know about if they want to "get" you (a version of this that I wrote can be found here). 8) I love a good rant because we all like to come together in mutual disagreement. I feel like I rant a lot, no examples needed. 9) Things that make you happy for no reason. 10) A list of topics you wish bloggers would write about! Are there any things that you wish more bloggers would blog about? Help everyone out and share so we can all keep reading all summer long! OH this was such a wonderful list! I keep meaning to do a photo-an-hour post. Probably next week!! Thanks for all of the ideas! 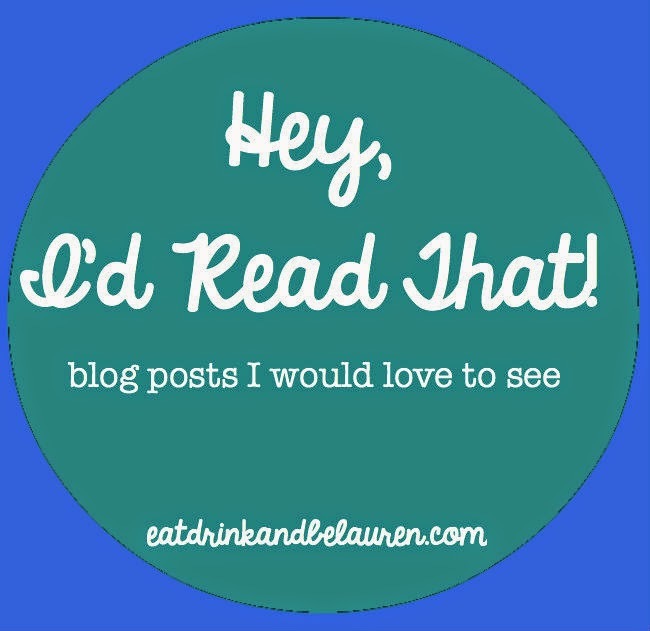 I am bookmarking this post because I am horrible at blogging consistently. I have a feeling I will be coming back to this post next time I need a topic to write about...good list! i did a day in the life once and i really liked it except i hate that i have boring office job pictures so i need to pick a sunday or saturday and do it. such a great list! definitely gave me some ideas :) off to read your guest post. I love a day in the life posts too although I haven't done one myself yet- need to get on that! I love this list! I also love the things you liked & didn't like about your wedding. I'm not a particularly beachy person either. I mean don't get me wrong I love to lay out & get a tan...but that excitement lasts for like 2 hours tops. I would much rather do something else. WELL LAUREN, you're in luck! I have a What I'd do In Philadelphia post in the works. I did a day in the life but am trying to pick a day for photo a day. I want it to be a work day. I want to do a #7 too. I love the photo a day hour idea. I love taking pics so it would be a really cool post. Thanks for some ideas!!! So many good ideas! I haven't really done any of these yet. I would love to do a photo day too. I need to be a tourist in Boston and share it. I want to get to know Boston more. I like the "a day in the life" post, but never attempted because I always felt my life is so...normal (aka boring). I'm going to attempt it one day...and if it's a big flop, I blame you. Yayyy I've done some of these already, but I am booking marking this list so I can brain storm some more! This is great, thanks Lauren! I've tried to do the photo an hour...maybe I'll give it a try again. This is a fantastic list! I find it hard to come up with ideas in the summer. Probably cause all I want to do is sit at the beach and read a good book. Thanks for all the ideas. This is great Lauren! #10 made me giggle :) I like the photo-an-hour post idea. This is such a good idea. I am always terrible about blogging. That is the only consistent thing with me. It's funny you bring up the stuff that bloggers should write about to "get" them. I was thinking the other day, I don't think my readers know much about me if they just read my blog. I update Facebook a lot more, so I just need to make blogging more of a priority and to not be so lazzzzy. Also, on a different topic, thank you so much for your help with my Austin list of things to do! They loved it!